This was the first dispensary I visited, the staff had always been kind and the waiting room is comfortable. I appreciate their wide selection on edibles compared to the other dispensaries in the area. This is my go-to dispensary. Wow, after a change in ownership, this place has gone down hill. Not only are they now closed on Sundays, they also do not open until 12 pm. Very short on bud tenders so long waits and the tenders are not friendly nor knowledgeable. I purchase a 5 pack of pre roll and there was no strain listed, just Sativa. Sure wish the dispensary in Prescott Valley carried Baked Brothers. I ordered a 1/4 of a certain type of MMJ. The clerk repeats my order correctly yet puts the wrong strain in the white bag. He rings up the order, again correctly repeating what i ordered. i pay for the order, leave and when i get home i find that he has put the wrong cannisters of MMJ in the stapled bag. Called the store immediately but it was 4 minutes after 6pm. and what does SWC Prescott do after hours? they pick up the ringing phone and hang up. time after time. no answering machine, nothing. what a classy place. emailed management and asked that they contact me. we'll see if they bother to try to contact me and resolve this issue. I'll update this post in a few days. The bud tenders are very professional and helpful. 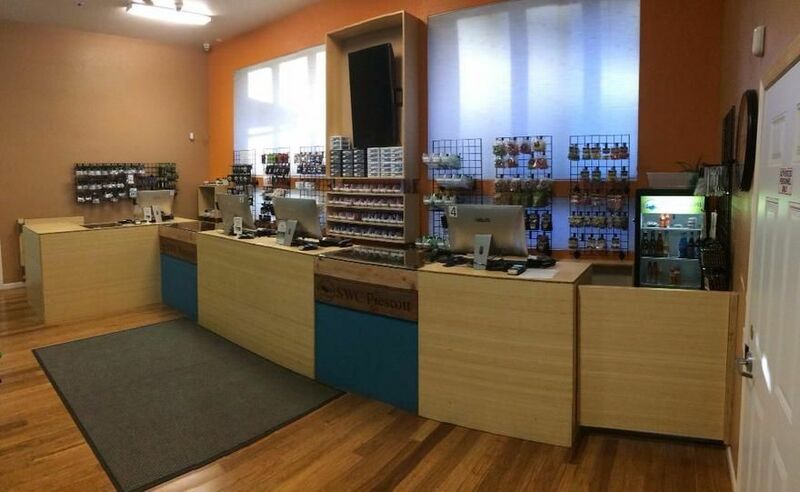 I have visited other dispensaries in the area and they do not compare to the service you get at the Prescott location.